The Packers who have a rookie starting at center goin' against one of the best defenses in the league in one of the loudest stadiums in the league!! The Seahawks who have a rookie right tackle goin' against TWO of the top pass rushers in the league??? Already that is a good question makes you wonder who going to step up the most. Tease Seattle & the under. Eddie Lacy is the key to this game. Seahawks should be able to keep 7-8 in box w/ great secondary. If he runs, Packers have a chance, if not, 13 points max for Packers. Here's a question: If the Broncos offense didn't come close to matching Seattle's defense in the SB, why should GB fair any better? Penalties could help the Pack..
Easy, Rodgers can throw a 40 yard fade route up the sideline and put it on a dime and Manning can't anymore. 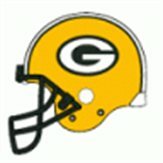 [Quote: Originally Posted by drozanski] Here's a question: If the Broncos offense didn't come close to matching Seattle's defense in the SB, why should GB fair any better? [/Quote]Easy, Rodgers can throw a 40 yard fade route up the sideline and put it on a dime and Manning can't anymore. [Quote: Originally Posted by Stevedore] Easy, Rodgers can throw a 40 yard fade route up the sideline and put it on a dime and Manning can't anymore.